The most beautiful estate car in its class is ready to hit new places. The new SEAT Leon X-PERIENCE with permanent four-wheel drive and all-road equipment offers driving fun whichever route you choose. The newest member of the Leon line-up combines emotional design with state-of-the-art technology, as well as optimum usability with surprising versatility. For an exceptionally high level of performance and safety, there are the powerful and efficient TDI and TSI engines with up to 135 kW / 184 PS, latest- generation all-wheel drive and a full array of state-of-the-art assistance systems. 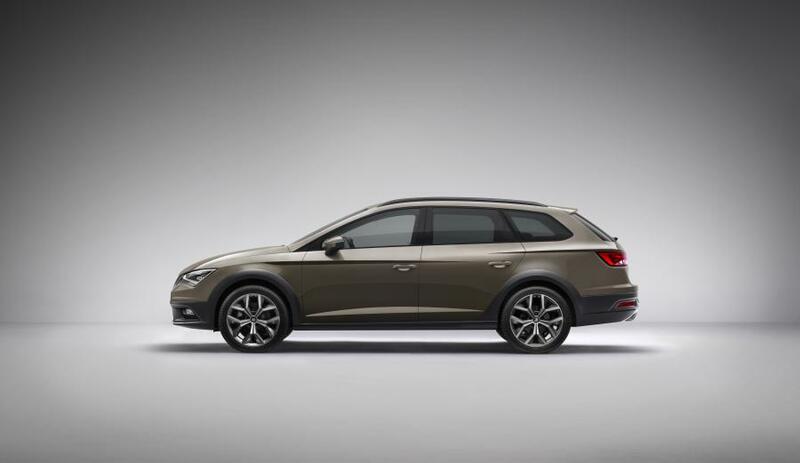 The Leon X- PERIENCE will be available from SEAT dealerships as of autumn 2014. The Leon X-PERIENCE is based on the Leon ST and shares its emotional design, exceptional dynamics and versatile everyday usability. With its electronically controlled four-wheel drive, its all-road suspension with extra ground clearance, its distinctive off- road look and individual interior, it offers an added dimension of driving fun. 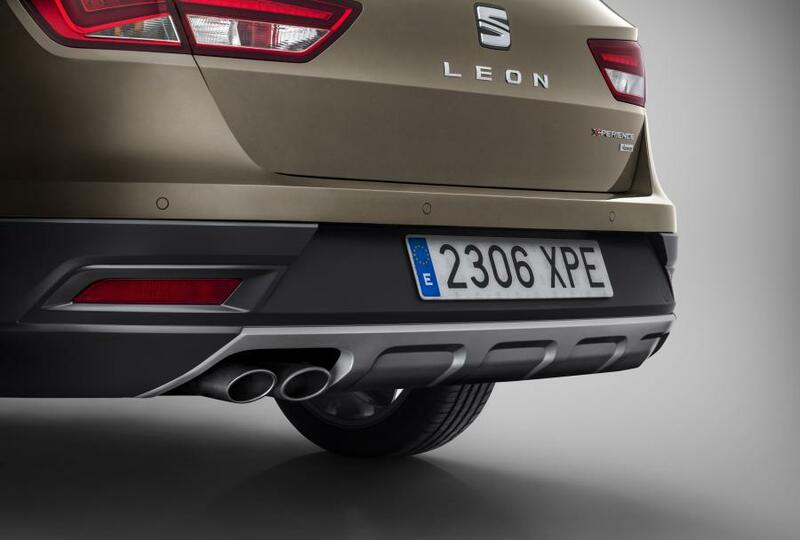 The highly acclaimed design language of the Leon family has been further accentuated for the X-PERIENCE. Here, too, sculptural side lines deliver a fascinating interplay of light and shade. The sharp lines and precise seams infuse the all-road estate with a stunning impression of energy and vitality. 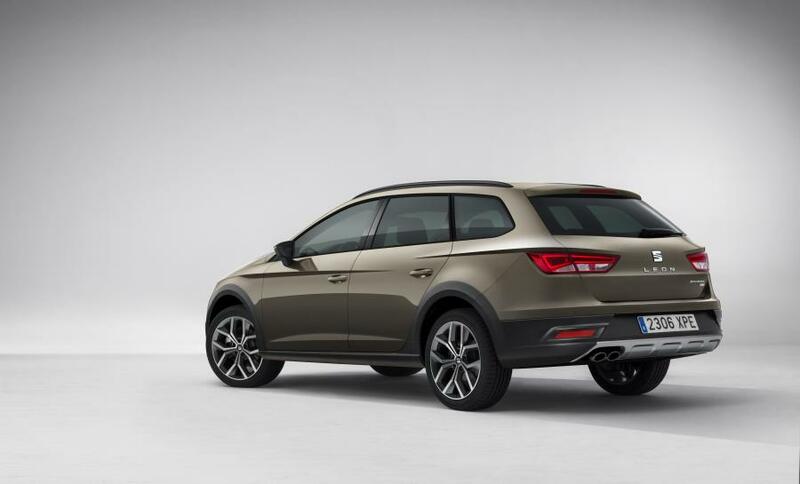 The dynamic silhouette is long and graceful, yet the Leon X-PERIENCE offers the full spectrum of usability for work and leisure, for family and sport. The luggage compartment offers an exceptional degree of variability and excellent functionality down to the tiniest detail. It has a carrying capacity of 587 litres that extends to as much as 1,470 litres with the rear-seat backrests folded. Even the bigger things of everyday life are well taken care of in the Leon X-PERIENCE. The Leon X-PERIENCE derives its own distinct character from the robust protection moulding on the door sills and wheel arches, as well as the powerful front end with substantial air intakes and integrated fog lamps with cornering light function, plus the front spoiler in aluminium-look. The rear end, too, is distinguished by its new bumper with an aluminium-look insert and by the chromed end pipes, which are standard equipment on the 180 PS petrol variant and the 184 PS diesel. The large wheel arches can accommodate 17-inch or optional 18-inch wheels in a dedicated five-twin-spoke design. The roof rail is anodised in black. The Leon X-PERIENCE emphasises its premium position within the Leon family with its unique trim. 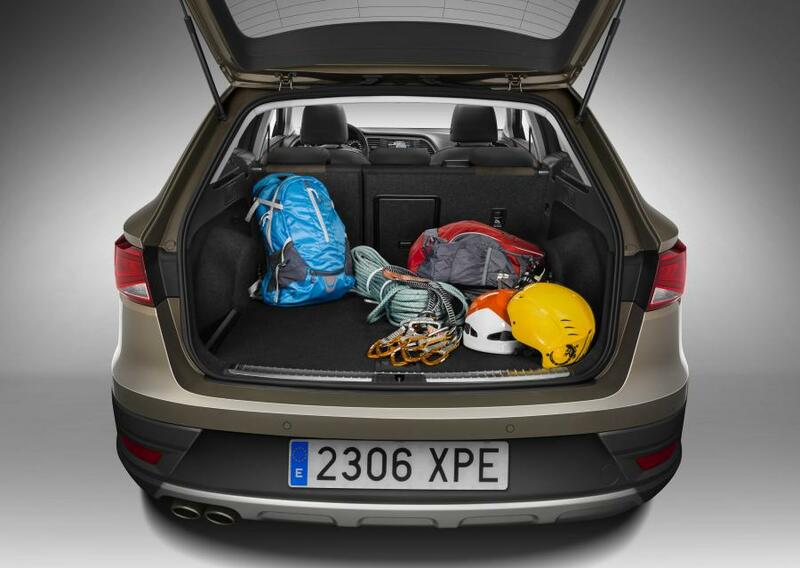 The Leon X-PERIENCE it’s not only elegant and sporty; this off-road aspect of the Leon is exciting and adventurous, while still fitting perfectly into everyday family life. In the interior, new materials, attention to detail and a combination of strong colours give this car its amazing personality. It offers the black and grey sporty elegance of high-quality fabric upholstery, as well as the option of brown Alcantara or all-black leather seats. 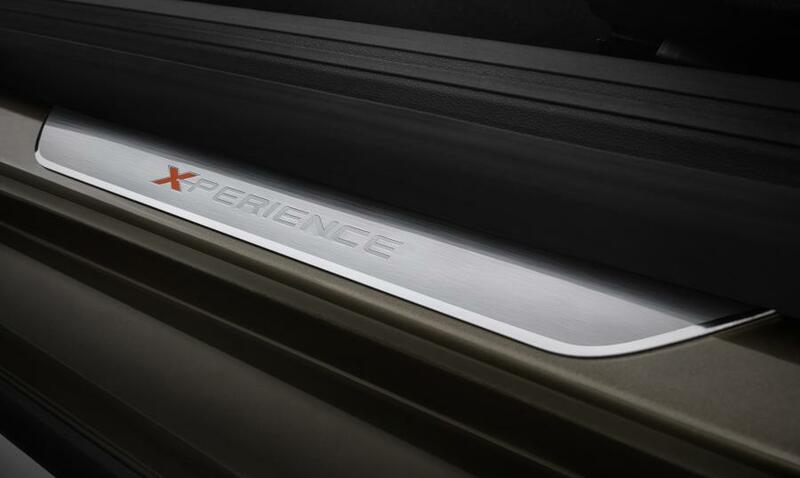 The X-PERIENCE logo adorns the door sills and steering wheel, while orange stitching accentuates the adventurous spirit and youthfulness of this car, which can be both serious and fun. 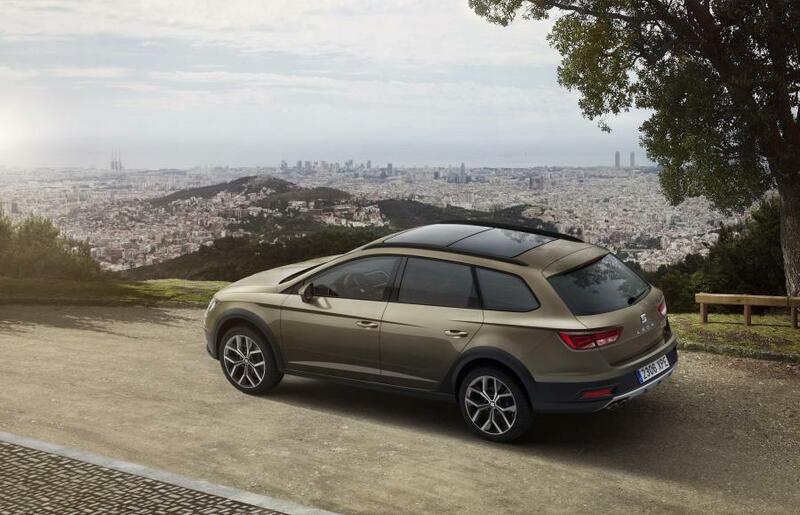 “The Leon X-PERIENCE expands the possibilities of everyday life. We also wanted it to have a look that combined premium elegance with sporty dynamism,” says Alejandro Mesonero-Romanos, Head of SEAT Design. The dynamic character of the Leon X-PERIENCE is perfectly matched with the range of high- torque TDI and TSI engines. The top engine is the 2.0 TDI with 135 / 184 PS. With its maximum torque of 380 Nm and the DSG transmission as standard, it delivers enormous dynamism that is only partially conveyed by its acceleration time of 7.1 seconds from 0 to 100 km/h and its top speed of 224 km/h. The engine declares its efficiency with a combined fuel consumption figure of 4.9 litres and CO2 emissions of 129 grams per kilometre. The 2.0 TDI with 110 kW / 150 PS, 320 Nm of torque and six-speed manual transmission also provides effective propulsion for the Leon X-PERIENCE. Equipped, like all the other models in the line-up, with start/stop and recuperation systems, it boasts a fuel consumption figure of 4.9 litres (CO2: 129 g/km). The base TDI generates 81 kW / 110 PS from its 1.6-litre displacement, as well as beefy 250 Nm of torque. Its fuel consumption comes in at 4.8 litres (CO2: 125 g/km). The petrol engine on offer is the latest-generation 1.8 TSI with 132 kW / 180 PS. With its combination of direct and indirect injection, the turbocharged engine delivers a peak torque of 280 Nm. 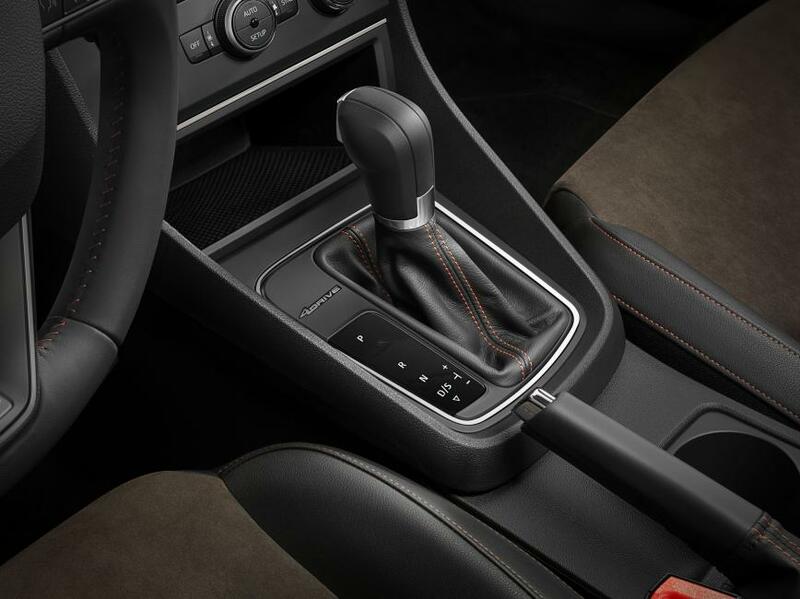 It also comes as standard with the same six-speed DSG box featured in our most powerful TDI engine and includes paddle shifters on the steering wheel. Fuel consumption stands at 6.6 litres/100 km (CO2: 152 g/km). The permanent all-wheel drive in the new Leon X-PERIENCE is one of the most modern and efficient systems of its kind in the world. SEAT uses a newly developed multi-plate clutch with hydraulic actuation and electronic control, a fifth-generation Haldex coupling. It reacts extremely quickly to all imaginable drive scenarios, thus delivering a considerable boost to active safety and performance. In the interests of axle-load distribution, the coupling is located at the end of the drive shaft, in front of the rear-axle differential. Inside, is a multi-plate package running in an oil bath. The metal friction rings lie one behind the other in pairs – one ring in each set is fixed to the clutch basket, which rotates with the main drive shaft; the other is fixed to the drive shaft connected to the rear axle. In normal driving conditions, the coupling transmits most of the power from the engine to the front wheels. Should there be a loss of traction, the torque is diverted smoothly to the rear in a matter of milliseconds when a piston presses the sets of plates together in a controlled manner. The new-generation coupling dispenses with the previously used pressure accumulator, making it considerably more compact and 1.4 kilograms lighter than the preceding component. The carefully balanced running gear reinforces the dynamic character of the new Leon ST. The springs smoothly master all surface irregularities, while the steering delivers calm and refined directionality, as well as excellent feedback. Compared with the Leon ST, the X-PERIENCE stands around 15 millimetres higher, giving it that much more ground clearance. Up front is a MacPherson-strut suspension layout with subframe. The Leon X-PERIENCE responds spontaneously and precisely to steering input, mastering all manner of corners with calm stability. At the rear is a four-link suspension that handles longitudinal and transverse forces independently from one another. Shock absorbers and coil springs are mounted separately – a solution that delivers exceptionally fine response characteristics. 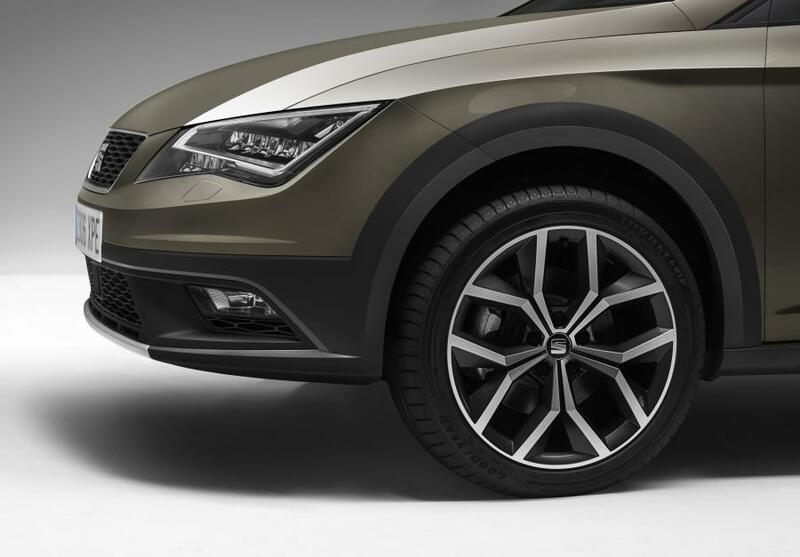 The brake system on the new SEAT Leon X-PERIENCE is likewise a match for tough tasks. The character of the SEAT Leon X-PERIENCE with the 135 kW TDI and 132 kW TSI can be individually adapted to mood and driving situation. 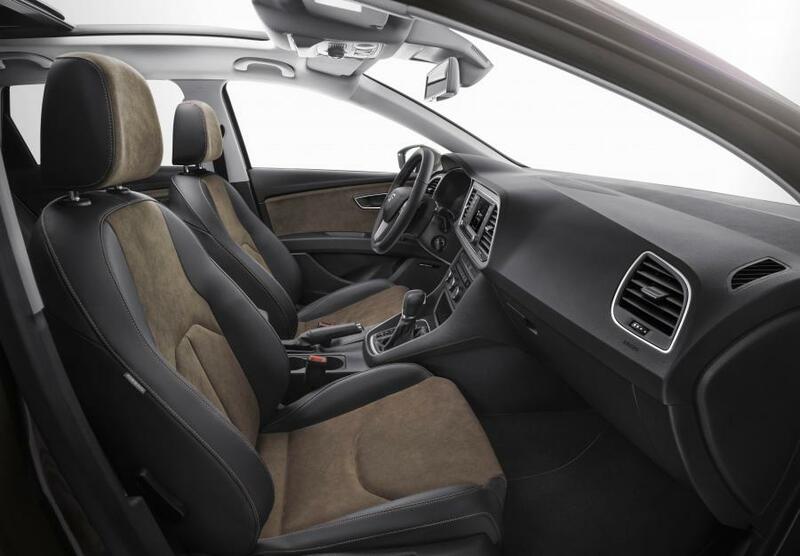 The standard-fit SEAT Drive Profile enables the driver to vary the characteristics of the power steering, throttle control and the DSG transmission in three modes – eco, comfort and sport. There is also an individual setting. In addition, SEAT Drive Profile incorporates a sound actuator close to the engine to provide an even more refined engine tone. 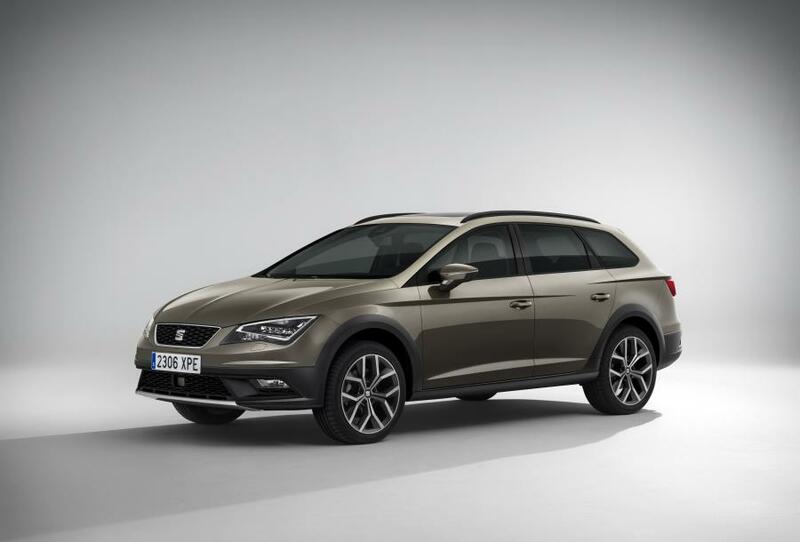 The new SEAT Leon X-PERIENCE comes as standard with state-of-the-art driver assistance systems. The dynamic control systems four-wheel EDS (electronic differential locks on both axles) and XDS (expanded electronic differential lock for better traction in corners), the ESC electronic stability programme and the multi-collision brake all deliver maximum safety. Optional hi-tech elements include full-LED headlamps, ACC adaptive cruise control with city emergency braking function, drowsiness detection and the Heading Control lane-keeping assistant. The adaptive cruise control (ACC) maintains the set speed, as well as the pre-determined distance to the vehicle in front, automatically braking and accelerating as required in moving traffic. 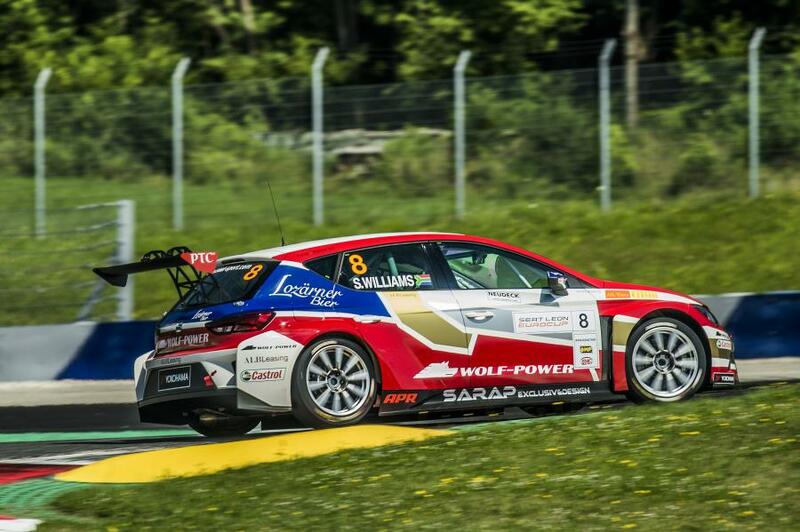 The speed can be set within a range of 30 to 160 km/h. The ACC radar system works with the manual transmission and DSG. In vehicles equipped with DSG, the system can slow down to a standstill behind a stopping vehicle. Front Assist including the city emergency braking function can guard against the danger of collision. It uses a radar sensor to monitor traffic driving in front. Should it identify a critical risk of rear-end collision at speeds ranging from ca. 30 to 210 km/h, the assistant warns the driver acoustically and visually and primes the braking system. The Leon thus puts the driver in the position of dealing with the precarious situation him/herself. If necessary, the system automatically initiates braking, potentially reducing the speed of any subsequent impact. “Front Assist” also helps the driver during the braking manoeuvre itself, ensuring – if necessary – that maximum braking force is applied. This means that “Front Assist” can make a major contribution to the protection of occupants and vehicle. The “city emergency braking function” is a system expansion of “Front Assist” that works in stop-and-go city traffic. At speeds of 5 to 30 km/h, it can react at the last second with an emergency braking manoeuvre in the event of an impending rear-end collision. 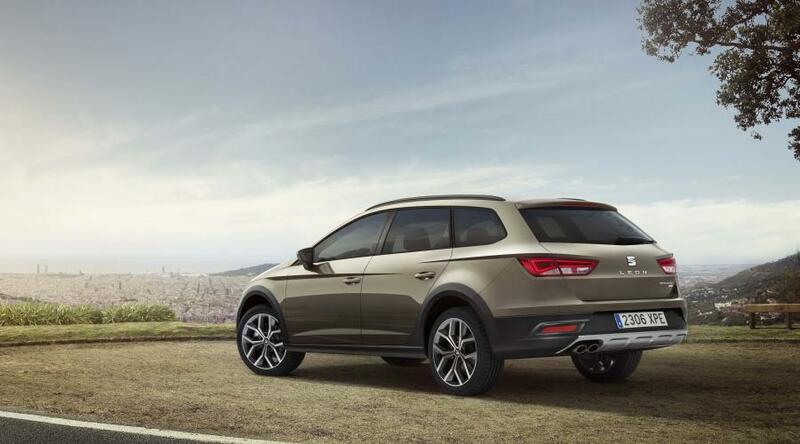 Innovative full-LED headlamps in combination with LED rear lights are available for the new SEAT Leon X-PERIENCE. Alongside their distinctive design, the LED headlamps also have a number of further benefits. They illuminate the road ahead at a colour temperature of 5,300 Kelvin. Because this is very close to that of daylight, it puts very little strain on the eyes. When it comes to efficiency, the LEDs consume very little energy – dipped beam, for instance, uses just 20 watts per unit. The characteristic contour of the position and daytime running lights on the new SEAT X- PERIENCE comes from two white LEDs per unit. Nine yellow LEDs on each side generate the indicator light, which is likewise integrated into the headlamp unit. The dipped beam consists of six modules each. When full beam is switched on, three additional powerful spot modules are activated and the dipped beam is raised accordingly. The light control unit uses information from a level sensor to avoid dazzling oncoming traffic. The new full-LED headlamps are also completely maintenance free and designed to last the lifetime of the vehicle. 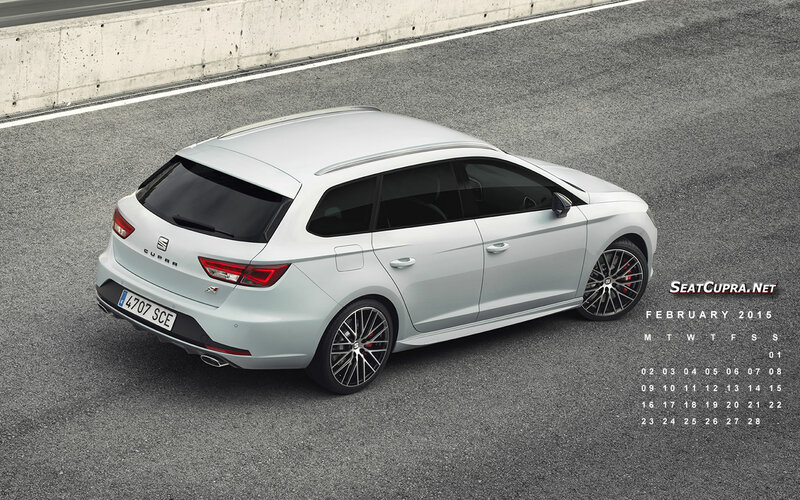 The new SEAT Leon X-PERIENCE is also fully up-to-date when it comes to infotainment solutions. 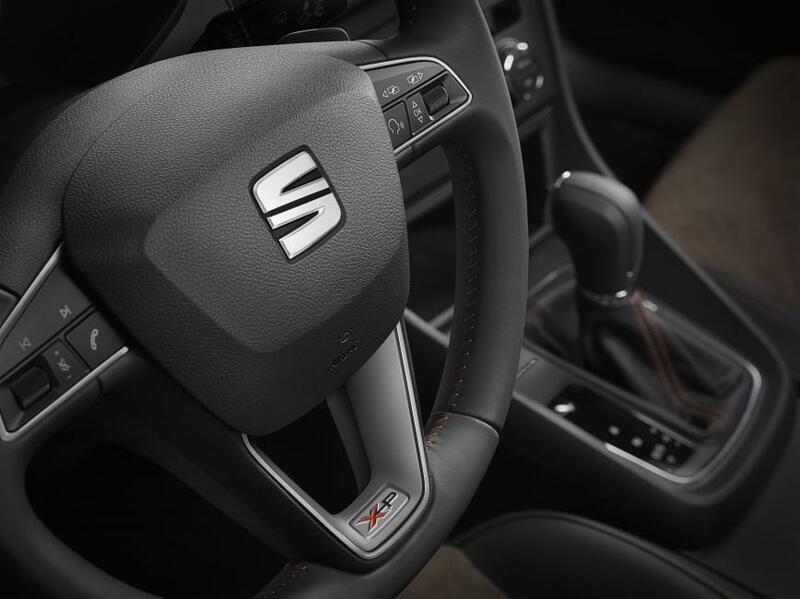 The basis for the best on-board entertainment is offered by the SEAT Easy Connect operating system, which enables control of all functions for entertainment and communication, as well as a wide range of vehicle functions, via a touch-sensitive screen in the cockpit. SEAT uses touch-sensitive screens with proximity sensors. As soon as the driver’s or passenger’s finger nears the touchscreen, the system automatically switches from display mode to operating mode. In operating mode, the elements that can be activated via the touchscreen are brought to the fore, which further simplifies intuitive operation (with swipe and zoom gestures, as on a smartphone). In the display mode, on the other hand, these features are far less prominent. 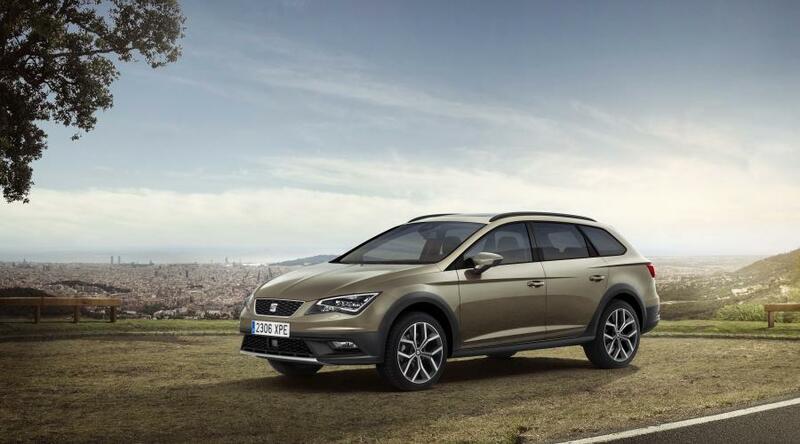 The graphics in both modes correspond perfectly with the sporty aesthetic of SEAT Design. The optional SEAT Sound System with 135-watt output and ten speakers offers a clear and powerful sound experience at all five seats. This impressive listening experience is due in great part to an additional center speaker integrated in the dashboard and a subwoofer in the trunk. Looking cool the new x .maybe one day I’ll have one. .